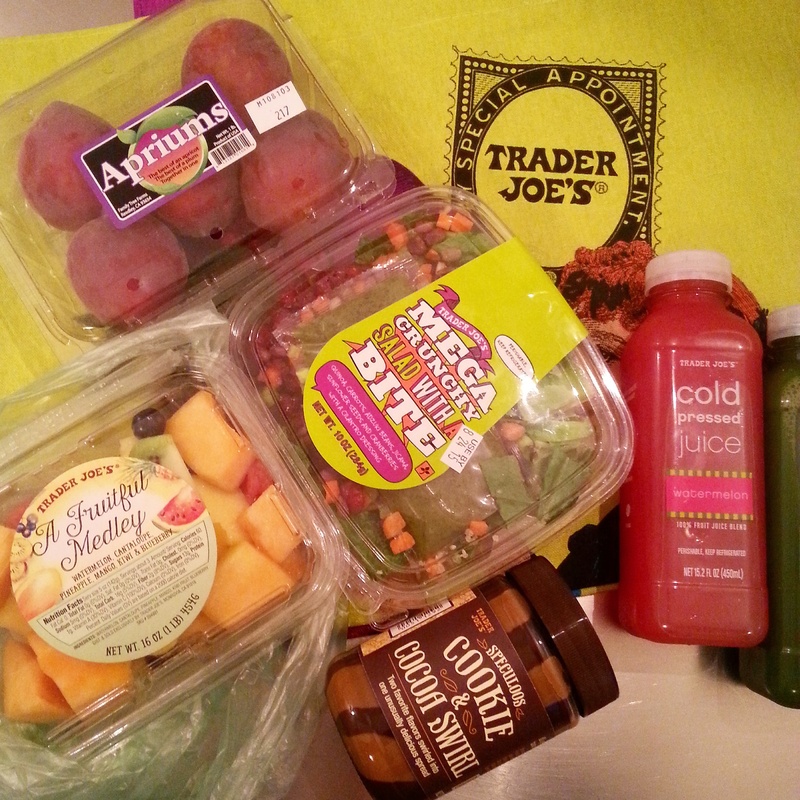 I braved the heat in my immediate-post-flight-slightly-headachy state to talk the short walk to Trader Joe’s to stock up on a few things and to grab myself a salad since I was so impressed with the food I had in Santa Monica. I went for the mega crunchy salad and it didn’t disappoint! It was a delicious combination of salad leaves, quinoa, carrots, adzuki beans, jicama (pronounced “heekamah” and kinda like a Mexican turnip apparently), sunflower seeds, and cranberries, with a cilantro dressing. Tonight I was excited to be trying out a restaurant that I’ve read good things about. Founding Farmers aim to serve great ethical American comfort food while supporting American farmers. Good thing we had a table booked as it gets super busy. The waiter said some great things about their goat cheese ravioli so I decided to give it a try. 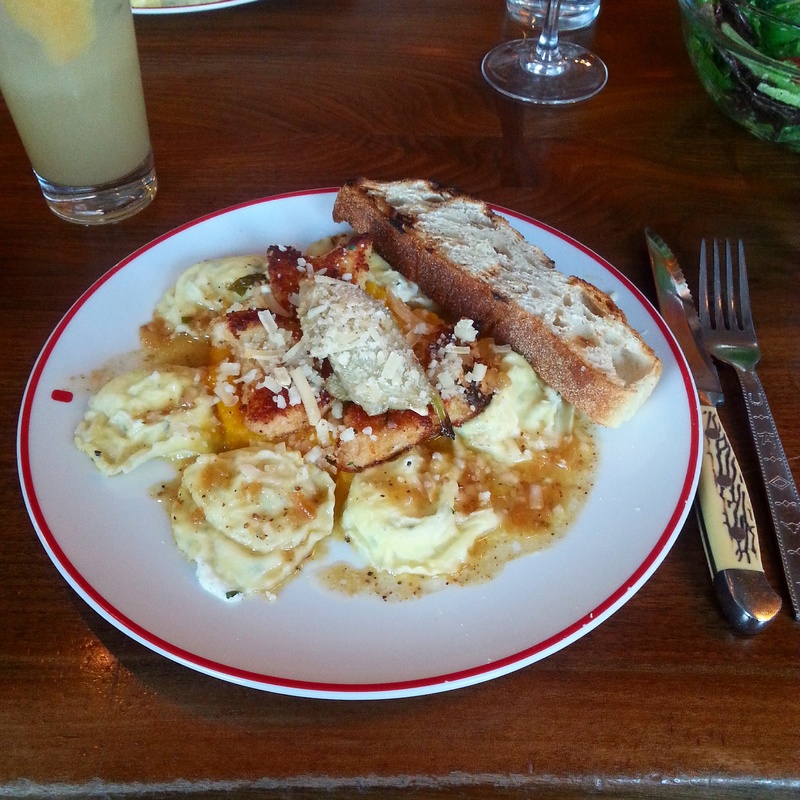 The ravioli/tortellini were served with a chicken cutlet and on a bed of smooth butternut squash purée. I was very happy with my choice! I was torn between a lot of things on this menu but eventually was swayed by the fact that this would be served in a pineapple. Even though I knew this when I ordered it, I still wasn’t truly expecting what was put in front of me! They must have found the most humongous pineapples in America! In the back of my mind I think I was a little cautious still because often the more flashy, showy dishes are compensating for something…not this dish! 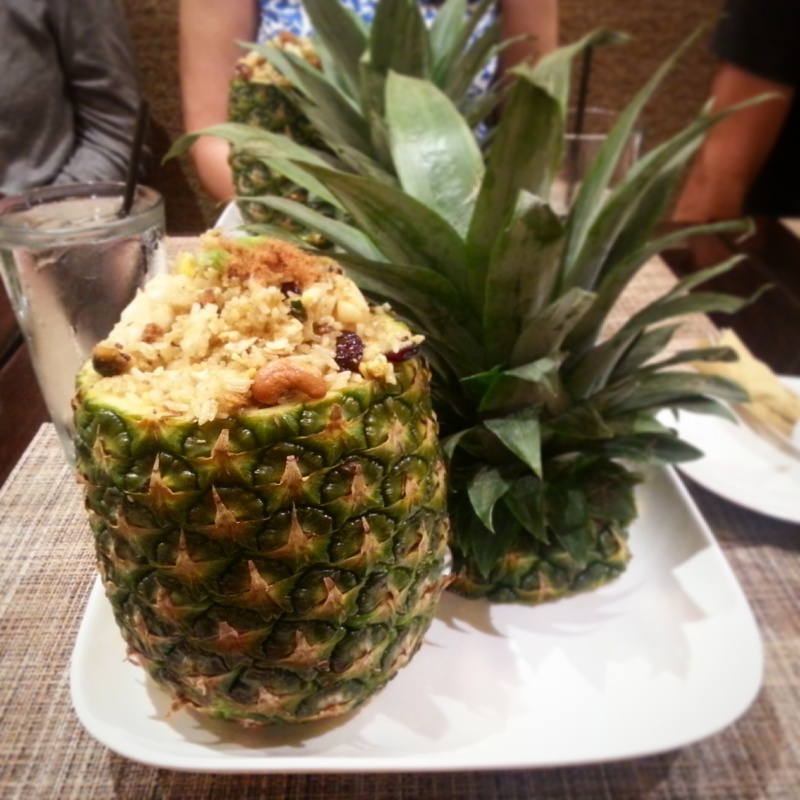 The seafood was beautifully cooked and the pineapple in the rice was incredible. I was a very happy lady! Tonight I was out for dinner with the whole team and the DC staff had organised for us to get a boat along the Potomac to Old Town Alexandria, Virginia for dinner at Virtue Feed & Grain. I loved the old-American décor of this restaurant as it was nicely in keeping with the whole town. 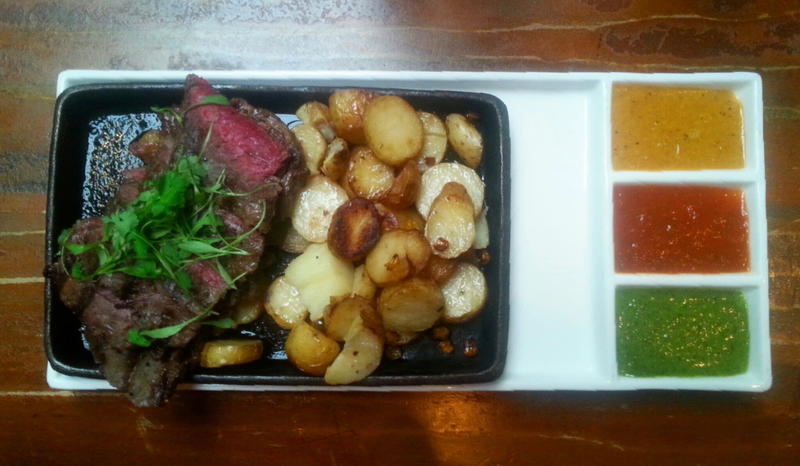 After sharing a LOT of appetiser plates, we weren’t all that hungry, but I soldiered on with my Chimichurri marinated skirt steak with charred corn, roasted fingerling potatoes, pearl onions, and chorizo cream which was delicious and I loved the 3 sauce variations that came with it. Getting the boat back to Georgetown as the sun was setting was beautiful as the sky was stunning and the lights on the memorials were starting to come on. This bar/restaurant is a regular for us for drinks when we’re in DC as it’s right on the river front and close to the office. Tonight we decided we’d eat here as well! 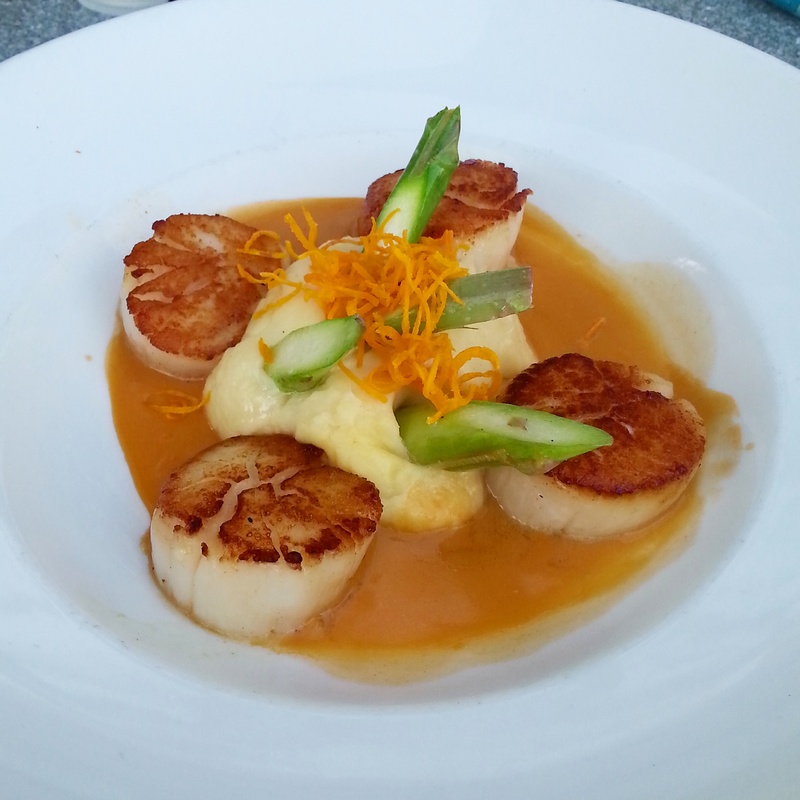 Sequoia have a great menu of seafood so I opted for the sea scallops. The scallops were really tender and a great size, and the combination of flavours in this dish was really interesting and I really enjoyed it! I was so happy when my colleague booked for us to come out for lunch at District Commons. 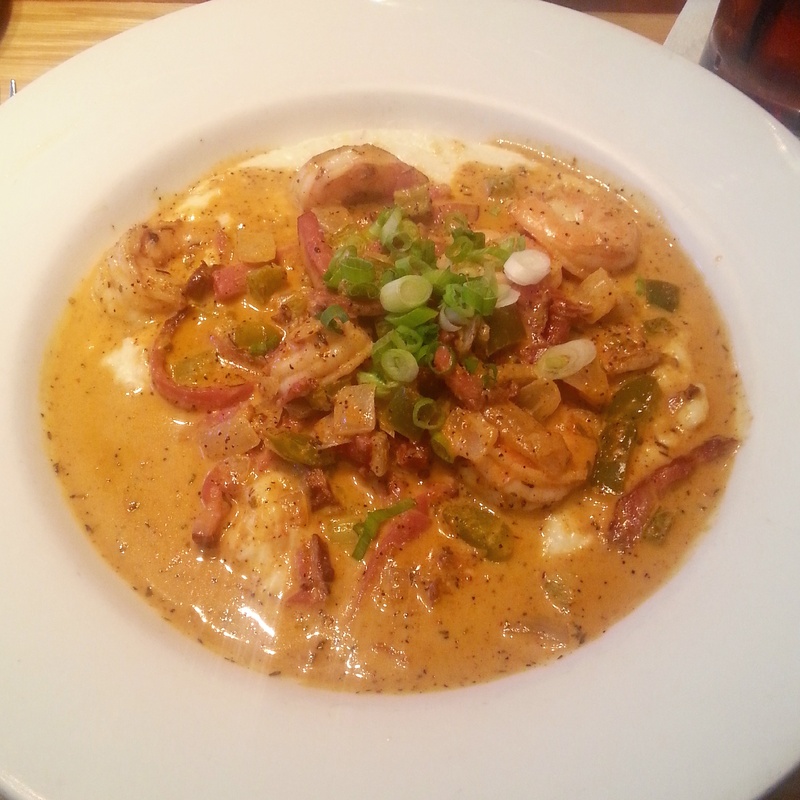 This time I ordered the Southern favourite, Shrimp & Grits. Grits is a ground corn-based, polenta-like food and was topped with shrimp, Tasso ham – a specialty of Louisiana, the Southern “Holy Trinity” of onion, celery, and green pepper, and finished off with yummy spicy seasoning. YUM! I was flying back to the UK tonight so I decided to use lunch as my main meal in case I didn’t find anything appetising in Dulles Airport. This restaurant was one the ground floor of the Watergate complex where our offices are so I headed here with a couple of colleagues for a catch up. I loved the sound of this Santa Fe salad from the menu so decided to try it. It was delicious and full of flavour! 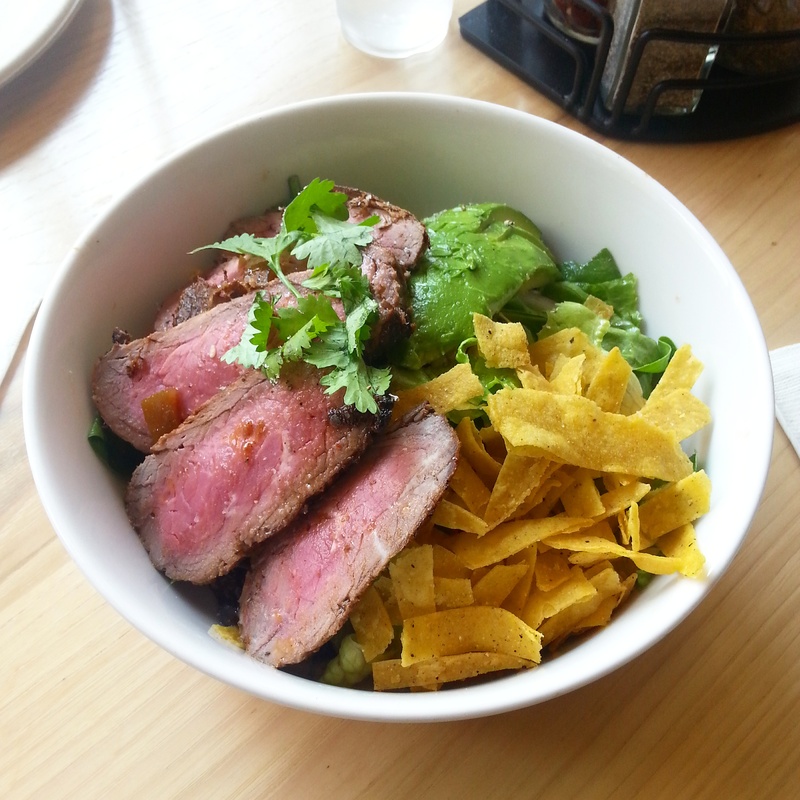 The meat was seared marinated skirt steak, served with Anaheim chilies, corn, avocado, black beans, beautifully seasoned tortilla strips, and topped off with a tomato-chili-lime dressing giving it a real blast of freshness and zing. I’ll be trying my own recreation of this when I get a chance! Next > 35 weeks completed!